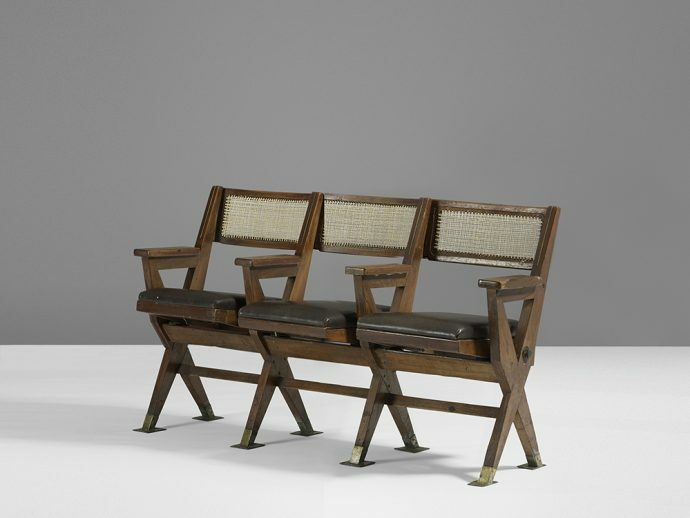 Three-seat cinema seat in teak, braided canework and brass. Canework folding seats and double leg assembly in an "X" shape, ca. 1961. Solid teak, cane, leather, brass pj cinema at Chandigarh. Pierre Jeanneret PJ-SI-83-B. Very important cinema all over the world. Films and great interiors are here.